Our own designed diesel units, hydraulic & electric powerpacks! 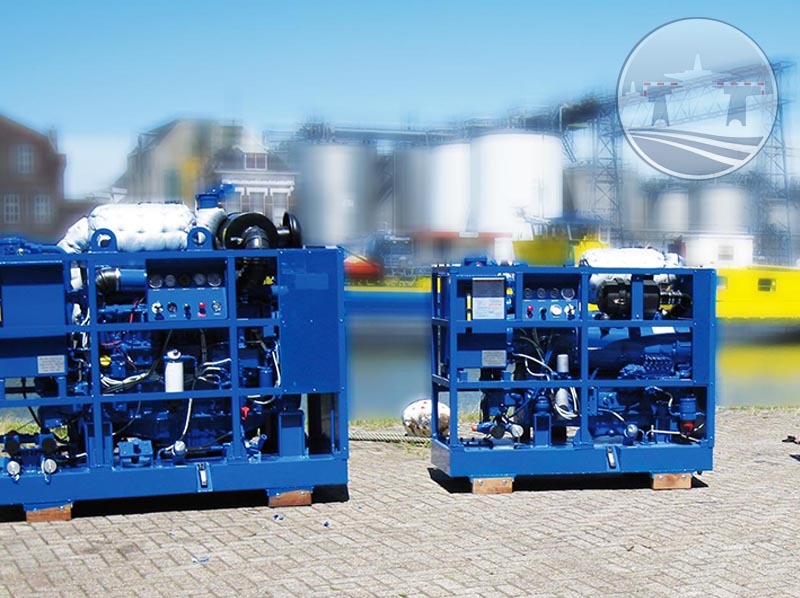 The MariFlex diesel – hydraulic & electric – hydraulic powerpacks are self-contained, extremely compact, light weight and built according to internationally recognized standards. During the years MariFlex designed their own standard units, but still builds and designs them to customer specifications, but generally speaking they can be divided into two different types; Diesel driven or electrical driven hydraulic powerpacks. All MariFlex powerpacks are explosion proof, but can be specially build for operation in ZONE II environments and ATEX approved.